Nutrition is a huge market. As a segment of a $4.3 trillion wellness economy, healthy eating, nutrition, and fat-loss are currently valued at $702 billion, according to the 2018 Global Wellness Economy Monitor. Dietary supplements market is expected to reach $278.02 billion in global sales by 2024. That segment alone is currently growing at an annual compound rate of 9.6%, according to the latest report by GVR. Going by the numbers alone, the fundamentals are great. People are spending a lot of money and the sales are fast increasing. More importantly, a great deal of those sales is happening online. About 20% to 30%, depending on the segment. As e-commerce penetration goes on, that figure is only going to grow. So lots of positive figures. However, with such a huge market we’ll need to get specific. The above picture features some of the existing markets. As you can see, nutrition is quite diverse with many fast-growing segments and subsegments. For example, sports nutrition is expected to reach $81 billion in sales by 2023, according to Statista. But you can break it down further and find that bodybuilders represent a larger share of it. That means protein shakes, creatine, BCAAs, testosterone boosters and so on. Then there are markets like brain health, which are smaller but growing at an incredible rate. Or you can take plant-based nutrition and supplements, growing at 8.1% CAGR and find that a sub-markets of it like vegan cheese or plant-based milk are set to hit $4 billion and $35 billion respectively, in sales by 2024. In other words, there are many niches and it’s all up to you to find the one that shows some great fundamentals. 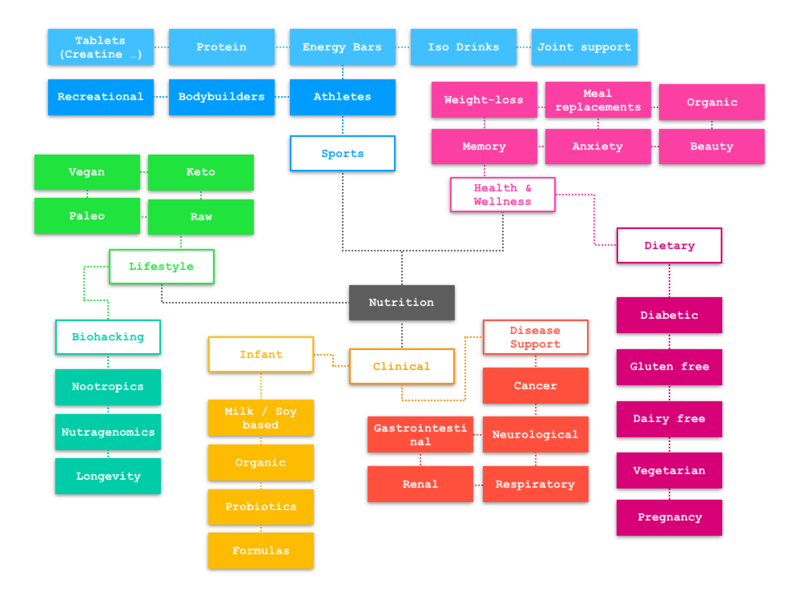 To make it a little easier for you, here’s a mind-map that roughly shows what the nutrition landscape looks like. It is, by no means, complete but it should help you navigate through. 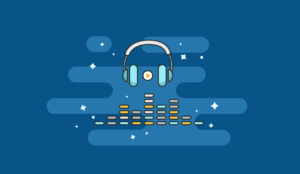 Another positive aspect is, that with so much innovation, new trends and fads coming up, there’s always a new market that appeals to consumers. These markets are there to be monetized by the ones who are quick to respond. 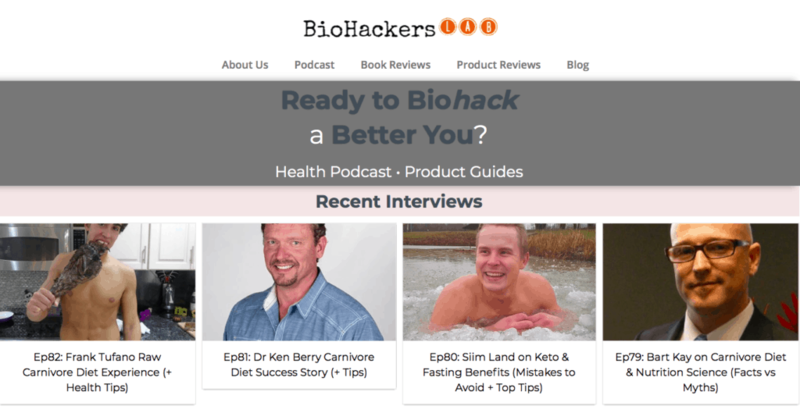 If you’re running a website that’s dedicated to a niche like biohacking or longevity, you can always be sure there will be new appealing products to sell. As you can see there are many keywords with decent traffic at medium to easy difficulty. Obviously, the above is just for illustration, you should do your own keyword research. Branded keywords like NOW foods, Muscletech, Optimum Nutrition or iHerb show popularity of a brand so it’s worth to check out their affiliate programs. Keywords like “blue spirulina,” “soylent alternative” and “creatine phosphate” show that some sub-segments are underserved. Traditionally, people look for green spirulina and creatine monohydrate. Likewise, a keyword like “dim supplement” shows it might be worth serving extreme niches as there clearly is a demand among highly knowledgeable consumers. You may also look to conquer an upcoming niche and look to become a leader in that space. One example would be nutrigenomics which involves purchasing a DNA test and having a diet set-up accordingly. In short, there’s a lot to play with as the market is massive. It’s just about how creative can you get. A solid example of nutrition affiliate marketing done right is selfhacked.com. Just looking at the homepage, the website does an excellent job establishing credibility (“solid science-based …”) and asking for subscription right after. That’s smart because it directs you straight to a highly personalized niche content. It also does a great job being transparent about what are paid products and what are articles. This builds trust. Going back to the homepage, there’s a good mix of links to content, products and attempts to convert visitors. Basically, the reader ergonomics are such that they switch between useful, appealing content and call to action, without being obnoxious. Also, have a look at that red banner. First, it stands out. Second, it’s an affiliate link, so right on the money. Lastly, as mentioned above, the website owners have done their research and are already monetizing some fast growing trends (i.e. nutrigenomics). The content is very good, full of references to scientific studies which is exactly what this industry (that’s full of snake oil salesmen) lacks. Likewise, not only do they cover traditional large markets like popular herbs, but also many trending niches such as keto, carnivore as well as extremely niche topics and substances. 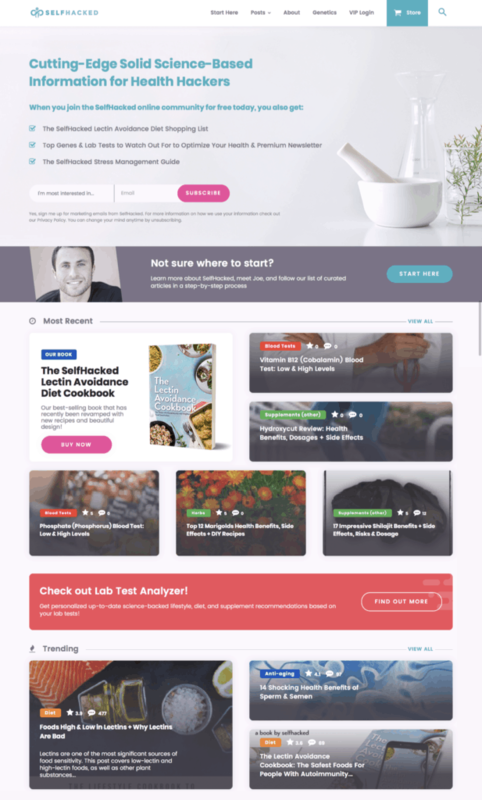 Another great example is BioHackers Lab. First, it targets a fast-growing niche (biohacking shows some 19% annual growth right now). Second, the typical demographic that follow this trend is a developer or an online entrepreneur, so customers who pay the premium and are among the most likely to spend money online. As the title suggests the website is heavy on reviews. That’s a smart angle to take, as most people who look for reviews are looking to purchase a product not read an article. In other words, if you’re looking for a review of some restaurant, you may want to know the details about their cuisine, service, prices and so on. But when you search for “best magnesium” it’s because you want to buy that one brand that’s on top of the reviews. It’s not like you’re going to analyze its chemical composition. Right on the money. The website owners know they have a buyer reading the review so why not going straight for the conversion. There’s a reason for it. 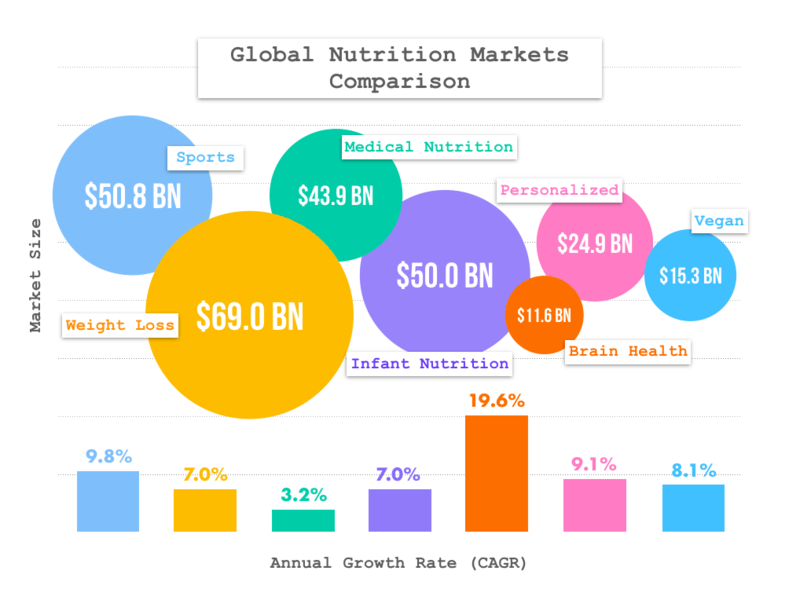 Nutrition market, while huge, is very competitive. It’s competitive in a sense that there are many products and companies selling them, therefore it’s hard to stand out. For marketers, that’s both a good and a bad thing. 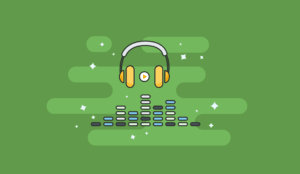 Bad for competition, good for having some lucrative affiliate deals out there. Less known brands have to be aggressive, so they’re willing to pay a premium. These are just some random examples. As you can see, the programs are as diverse as the market itself. 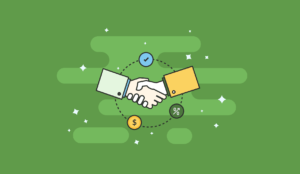 The market is competitive so many brands try to offer favorable affiliate conditions to get sales. The easiest way to get started is Amazon Affiliates. Getting approved is quite a quick and easy process. iHerb is another very popular website to buy supplements from. Their program is slightly more competitive compared to Amazon. 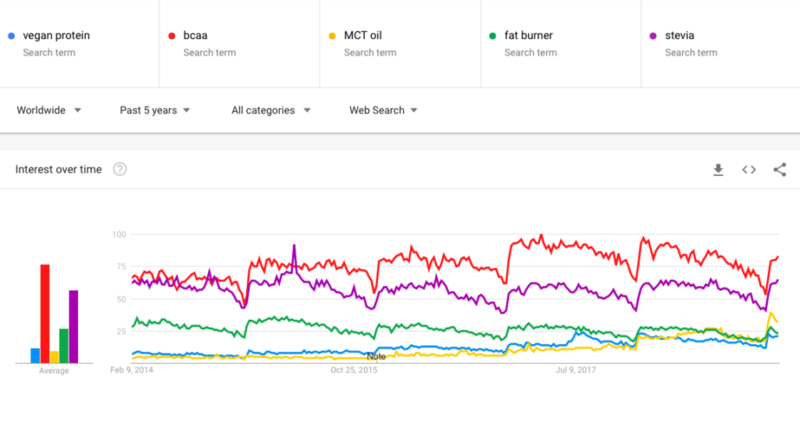 If you venture into sports nutrition, there’s a plethora of websites and brands that offer a variety of programs, some earning up to 50% of the sale. There are reputable sellers like Bodybuilding.com and popular manufacturers like Optimum Nutrition. Less known brands like CrazyBulk try to outcompete the above so you’ll get much better rates. At the end of the day, you’re just selling proteins and weight gainers, there’s not much that can go wrong in manufacturing a decent product. The great news is, there’s a lot of innovation in the nutrition space and you can market some really exciting products and earn a commission from them. For example, Elysium Health is a product developed by the world’s leading scientists. It’s a longevity supplement coming straight out of MIT labs and a very promising one. Others like Soylent, Exo protein (bars made of cricket flour) and many innovative vegan, keto or paleo brands have their affiliate programs too. So if nutrition is something that gets you excited you may choose to get deals with many different companies instead of going the standard Amazon way. The downside of marketing nutrition products is the relatively low purchase value and not so easy conversion rates. 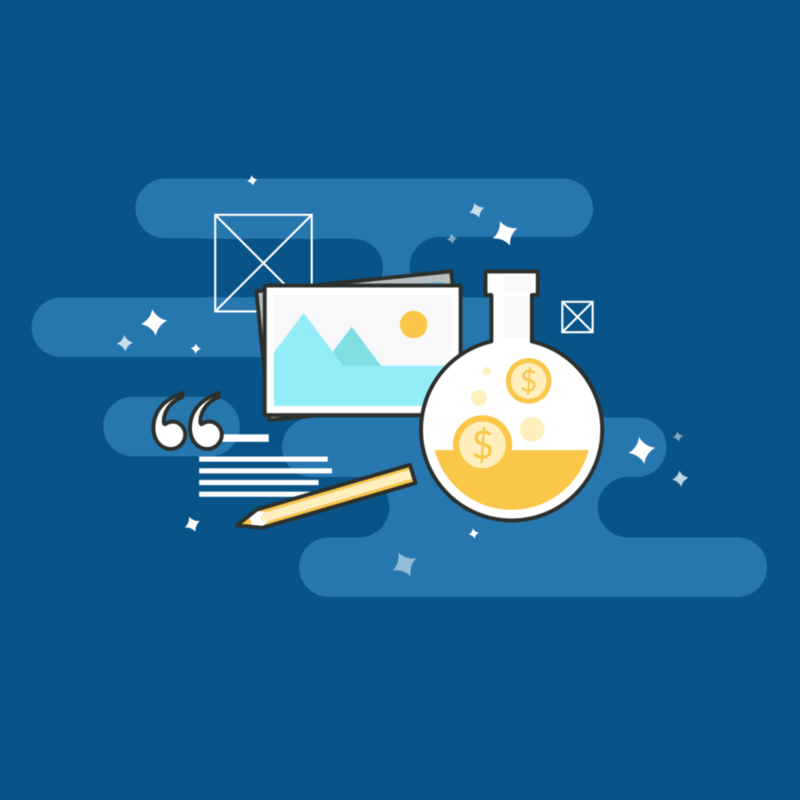 That’s because there’s plenty of products out there the buying journey is such that customers tend to do their research reviewing different products and articles. Therefore, they’re likely to jump from one website to another in their quest for learning about the product. This explains why a couple of successful examples above are quite aggressive in asking for the sale. An important risk factor to consider is the recent Google update, dubbed by some as “Google Medic Update” because it affected health-related websites the most. Nobody really knows how the changes in Google’s algorithm work, but some websites like draxe.com saw as much as close to a 70% drop in search traffic. Others, like Healthline, saw an increase of 20%. Most likely it penalizes websites based on how credible Google thinks they are. In other words, if you’re going in health and fitness it’s worth doing it right. Huge market: The numbers speak for themselves, nutrition is multi-billion dollar market with lots of people spending money on supplements and meal replacements. Many niches: There are many niches to target. Opportunity to grow: Nutrition is a fast-growing and fast-evolving market. It’s also easy to find a sub-segment that’s experiencing an astronomical growth at any given time. Can be profitable: There are many programs offering up to 50% commission and long cookie duration. Consumable product: Unlike let’s say cars, nutrition is something people have to spend money on repeatedly. Therefore you can boost your profitability by retargeting existing customers or building an email marketing list. Average order size: The average order size is relatively low. For most products, you can expect $75 - $100 dollars. Competitive: Obviously, where there’s money, there’s competition. Customer loyalty: There are no signs to suggest the customer loyalty is high in the nutrition market. Quite the contrary, many buyers like to follow whatever the latest fad is. Should you start a nutrition affiliate marketing website? It’s a huge market. There are many fast-growing niches with not so much competition. The nature of the product is such that you will never run out of customers to sell to. It is a crowded space but it’s all up to you to find a niche with great fundamentals. There are also many demographics and markets you can target and become the leader in. You can take a fast growing sport, like for example MMA or Brazilian Jiu-Jitsu and run a blog dedicated to nutrition in that vertical only. Or you can focus on a particular diet that’s fast-growing such as keto. Or take a specific product like Soylent (or alternative) and run a recipe blog that features recipes made out of Soylent. Alternatively, you can go with a combination of more, for example, a blog about diet for paleo bodybuilders or vegan MMA athletes. As you can see, the possibilities are countless.